I don't think I have ever been more excited to paint a wedding! 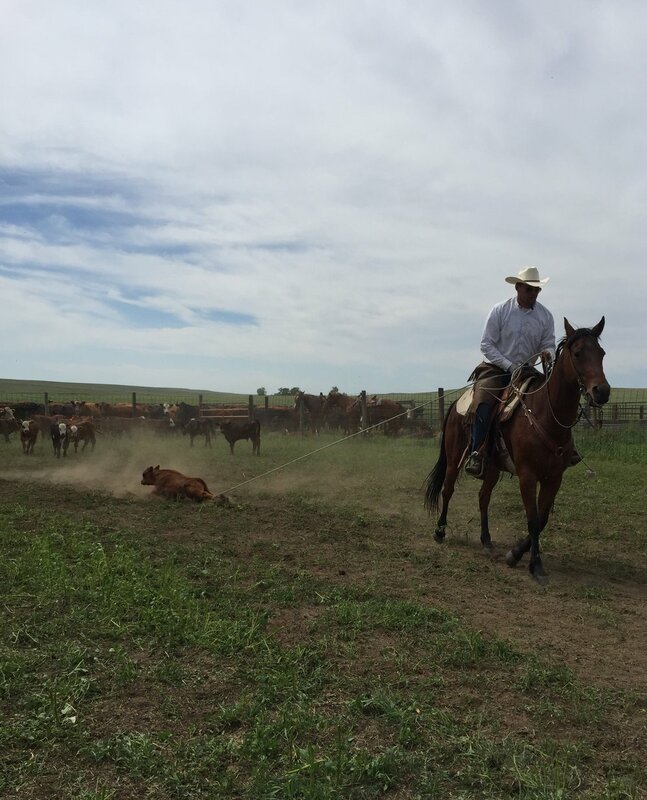 This special wedding took place on the family's 100 year old working cattle ranch, and included a "live branding" before the ceremony. After working cows, the bride and groom quite literally hopped off their horses and walked down to the ceremony to say, "I do." It was so refreshingly authentic and simple. The "ranch life" reminded me so much of home in Texas, and my heart melted a little meeting real cowboys and watching them do their thing. Congratulations, Lauren and Will!